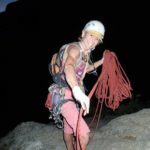 Susan has been a climber for over 25 years starting her climbing career in Eldorado Canyon in Colorado. Since then she has climbed all over the world including; Africa, Asia, Nepal, Europe, Mexico, Canada and most recently, Croatia. 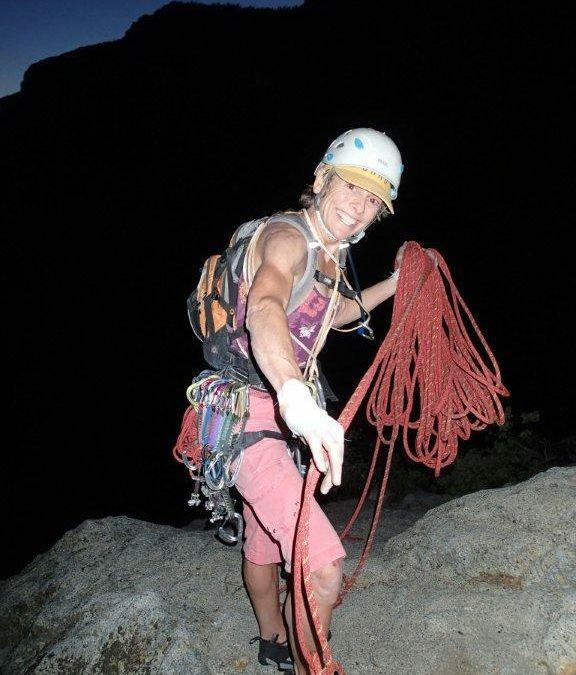 In the United States she has honed her skills in the Tetons, Wind River Range, Pacific Northwest, Yosemite Valley, and Tuolumne, the Sierras, Joshua Tree, Idyllwild, the Shawangunks and many other climbing destinations. She is not only a proficient rock guide but a mountaineer and ice climber. Susan has worked for Yosemite Search and Rescue and the American Alpine Club. She comes to climbing full time after having a career in corporate America where she acted as Director of Technology for GMAC and Vice President of Consulting for TIE Commerce, an Amsterdam based software company. After a leave of absence to build a school in Nepal she came to Joshua Tree where she took over Uprising Adventure Guides, Inc and now guides full time. Susan is an AMGA Certified Top Rope Site Manager and has completed the Rock Instructor Course. Sue has spent the majority of her life teaching people how to climb. Come spend a day with a corporate gone climber and hear how you can break free from the rat race as well!